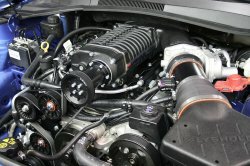 Lysholm 2010-2011 Camaro Tuner Kit  : Supercharger Superstore, Your Online Source for Vortech Superchargers, Paxton Superchargers, Procharger Superchargers, Magnacharger Superchargers and Techco Superchargers! Tuner kits require installer to provide custom ECU calibration. These systems have not yet been granted an exemption by the California Air Resources Board (CARB). Currently these systems are not smog legal in California, except for racing vehicles which may never be used upon a highway (Off-road use only). 50-State Emissions certification is planned for complete systems. Tuner kits are not eligible for CARB exemption.